On Saturday 3rd December I will joining Maggies at the City Hospital Campus, Gate 3, Hucknall Road, Nottingham, NG5 1PH for their Christmas Fair from 11am until 1:30pm. 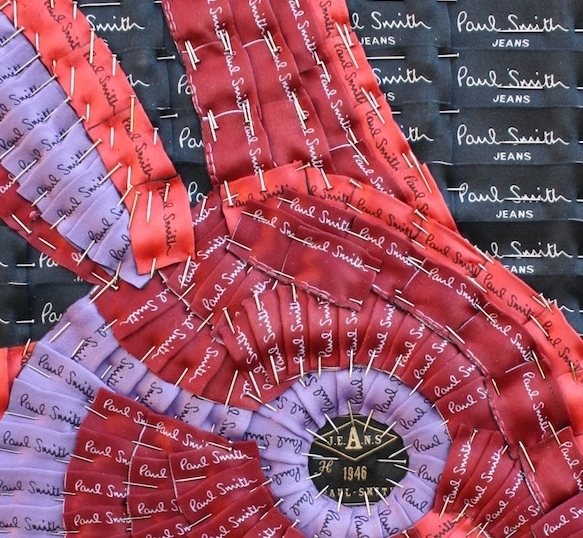 Paul Smith commissioned ‘Red Rabbit’ for his private collection using 1000’s of his designer labels. We are now able to offer a Limited Edition Giclee Print for £140 with a 10% donation to Maggies Cancer Care. A few prints will be available to purchase on the day and orders taken. 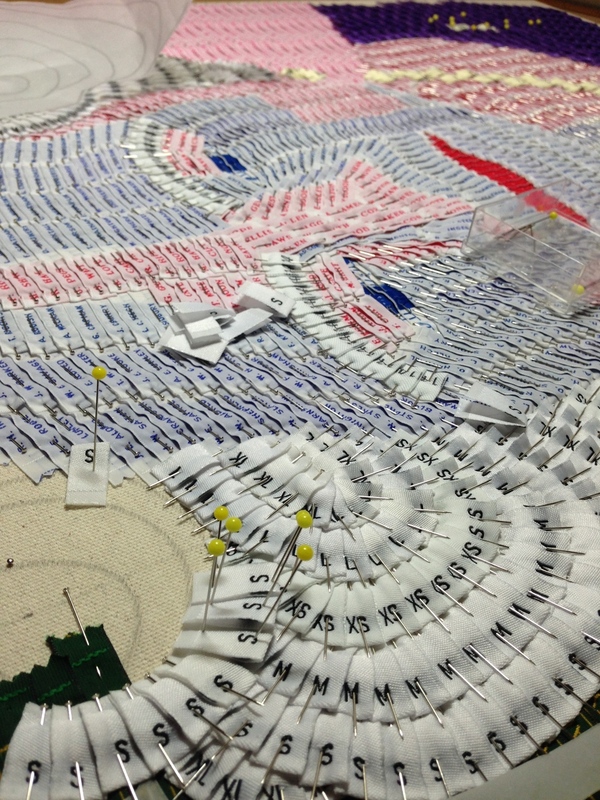 For 15 years Joy Pitts has gathered used labels from local charity shops, unpicking labels from the neck of rag garments. The 20,000 used labels in this exhibition have all been gathered from Ilkeston; therefore local residents were once walking around in these garments. It took five years to gather sufficient red labels to produce the smaller Ayrshire Cow. Joy’s award winning ‘Dairy Cow’ work, which is made up of 5,000 used garment labels, is on display in the window at Ilkeston’s Sue Ryder shop on Bath Street for two weeks to accompany the exhibition. A highlight of the exhibition is a 1.3 metre Homing Pigeon assembled from 466 World War One names taken for the Cenotaph in Ilkeston Market Place. 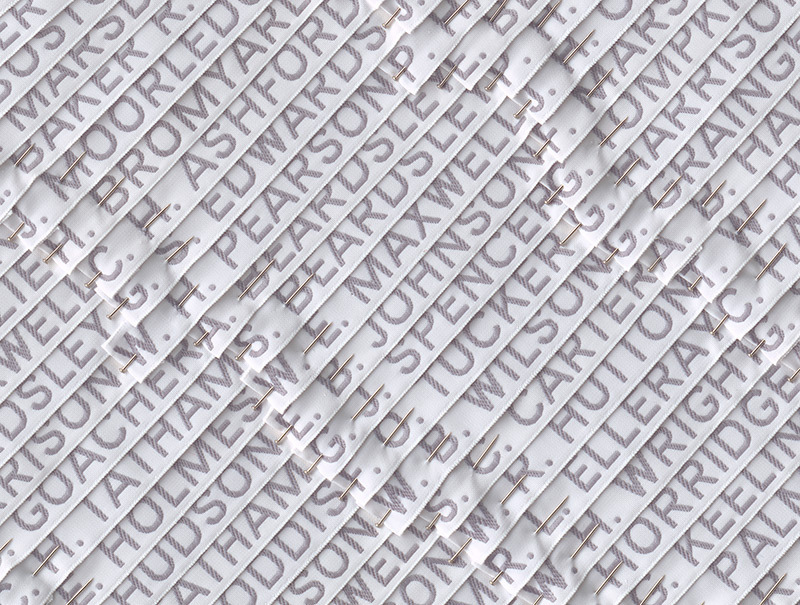 The image is a tribute to the men and inspired by the thousands of homer pigeons that lost their lives during the First World War when they were used to transfer important and life-saving messages. 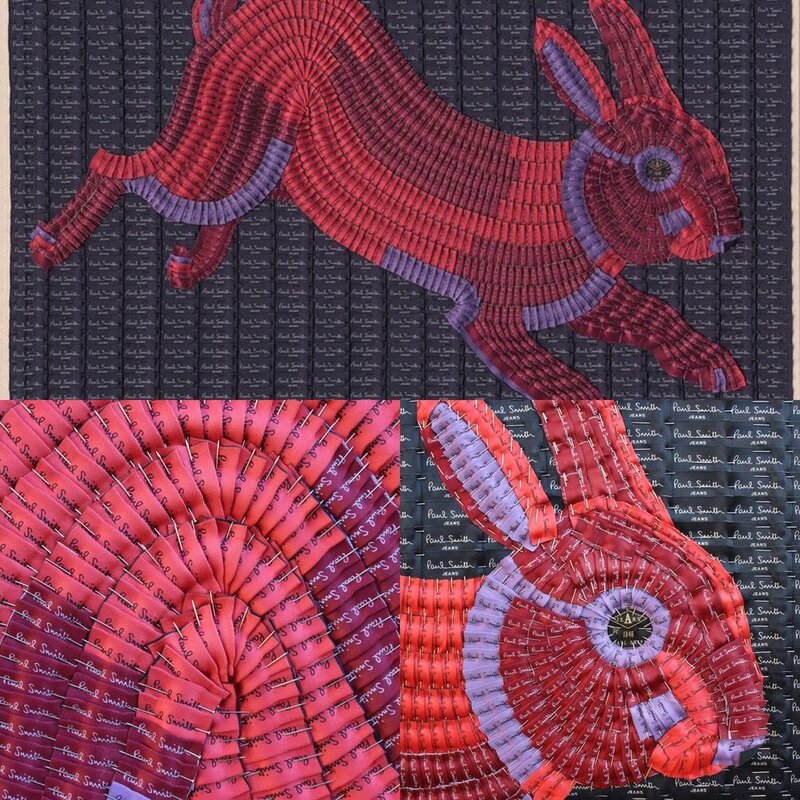 Recent work includes a Commission for fashion designer Paul Smith and selection for The Royal Academy Summer Exhibition. 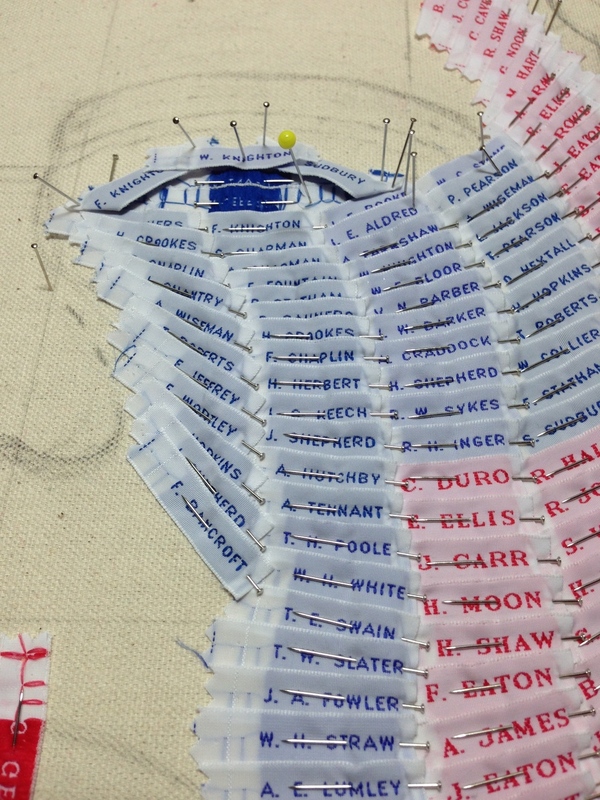 Joy’s latest project is a portrait of Her Majesty the Queen to celebrate her 63-year reign. The exhibition ‘20,000 Used Labels’ continues at The Lally Gallery, Erewash Museum, Ilkeston, DE7 5JA from 11th Sept – 30th Oct 2015. The Museum is FREE to enter and is open Tuesday, Thursday, Friday and Saturday 10am until 4pm and is situated just off the Market Place. Press release - ARTS and LABELS! Many thanks to EREWASH BOROUGH COUNCIL, and to Councillor Mike Wallis for posting this press release about my forthcoming Exhibition at EREWASH MUSUEM.